Wow! This photo is fantastic. Just the right amount of light on her back. Great capture. Fantastic!! Her reflection in the mirror is without a doubt the subject of this image. Merry Christmas and Happy New Year Tom! What a great image. 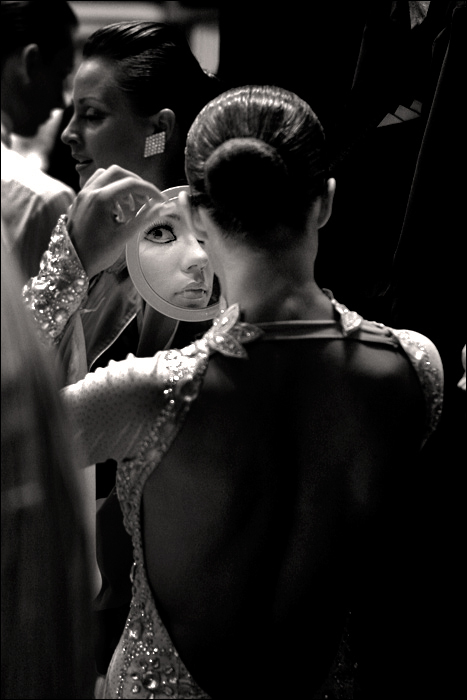 A glimpse Behind the facade of the performer. This is great – Top capture.. I love this shot. The dark back of the lady leads the eye instantly to the mirror. STUNNING photo. I love it. The impact of her looking at herself in the mirror is powerful. Love.